A spill in the juice aisle at the grocery store, an unmarked step at a retail shop, uneven pavement on sidewalks, or a slippery restroom floor can all lead to serious injuries as a result of a slip and fall accident. Property owners have a duty to maintain and repair all areas so that it does not present an unreasonable risk of harm to those who may visit the property. Slip and fall accidents comprise the largest number of emergency room visits. Many of these accidents could be avoided with proper maintenance to the premises. If you have been injured in a slip and fall accident, contact Attorney Richard Batesky today! We fight for you to get you all of the compensation that you deserve. accidents in our nearly 30 years of practice. More than one million people go to the emergency room each year for slip and fall accidents. A property owner (or employee) should have recognized a dangerous condition and removed or repaired it, but failed. A property owner (or employee) caused the dangerous condition and it was reasonably foreseeable that someone could be injured. The property owner was negligent and failed to act as a reasonably prudent person would have in similar circumstances. You have proof that you did not cause the accident yourself and that you took reasonable measures to remain safe and injury free. Any kind of injury can have a negative impact on your life. Medical bills that seem to never end and lost wages due to missed work lead to financial instability for you and your family. 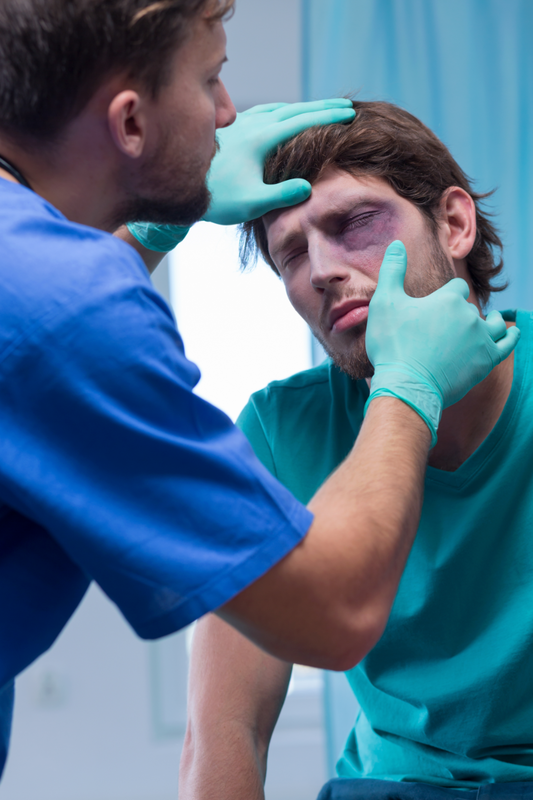 If you were injured on someone else’s property, and the cause of the injury was a result of negligence or carelessness, you may be entitled to recover damages. Slip and fall accidents are the single leading cause of emergency room visits in the United States. A majority of slip and fall injuries could have been avoided if the property owner had maintained proper care of their premises or warned visitors of potential dangers. There are no two slip and fall cases that are the same. Injuries can range from skull fractures to hip injuries to broken limbs. One thing that is the same in all cases: if you are injured on someone else’s property and they have failed to maintain reasonable care of that property, you are entitled to damages. Attorney Richard Batesky in Indianapolis will work relentlessly to help you recover maximum compensation for your injuries. As soon as you are injured in a slip and fall accident, you need to contact an experience, aggressive injury attorney who will fight for you. 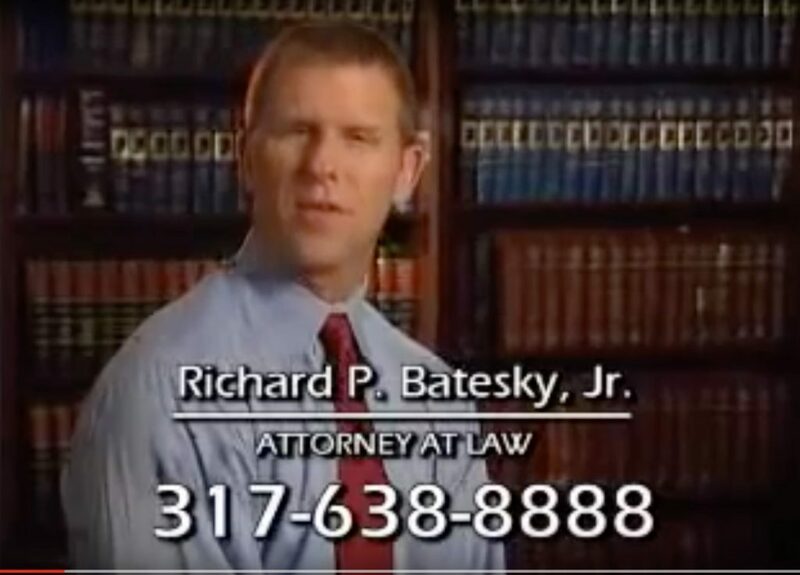 Attorney Richard Batesky has nearly 30 years of experience in fighting for clients who have been injured in a slip and fall accident in Indianapolis. We have recovered millions in damages for our clients over the years. Since an initial case consultation and evaluation of your Indiana slip and fall claim is free of charge, you have nothing to lose and everything to gain by having us review your claim. When left untreated, soft tissue injuries can cause chronic pain and make you vulnerable to subsequent injuries. Soft tissue injuries don’t always produce immediate symptoms so it is important to receive immediate medical care after a fall even if you feel fine. Head injuries cannot be diagnosed based on symptoms alone. Many serious head injuries may not present symptoms right away. Even if you feel “fine” after experiencing a head injury, your first step should always be seeking medical care. Not only will this increase your chances of making a complete recovery, you will also increase your chances of a successful lawsuit. Solid medical records that document all injuries immediately following an accident proves that your injuries were a direct result of that accident. In many cases, these injuries only require superficial treatment such as stitches. 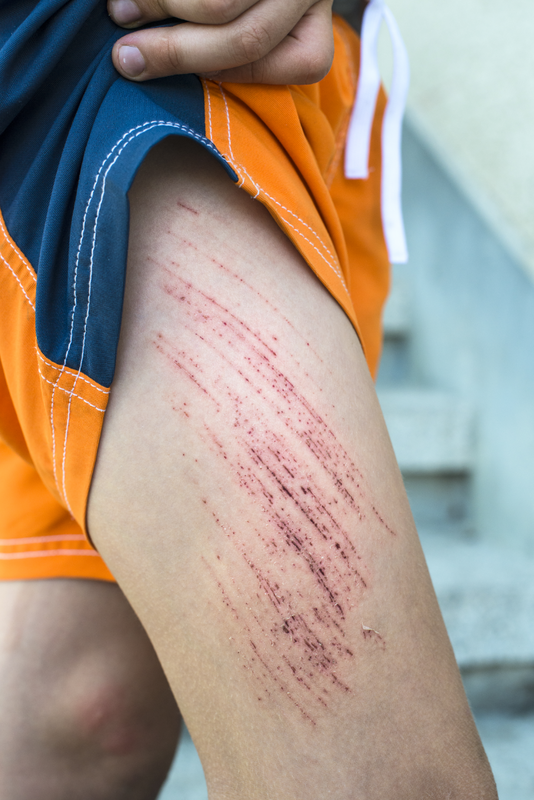 However, the impact of the fall can result in hefty cuts and abrasions that result in more serious injuries such as concussions or broken bones. These injuries may result in unexpected medical bills that you may have been unprepared for. If the slip and fall accident was a result of someone else’s negligence, you may be entitled to recover damages to cover unexpected medical expenses, lost wages, and pain and suffering. Most often, the higher up in the spinal cord that the injury is located, the more extensive the damage will be. When an injury occurs in the high cervical spine, the result is often quadriplegia, or full paralysis. Injuries that are lower in the spinal cord can produce paraplegia, or paralysis of the lower limbs, or more mild symptoms. When you suffer a spinal cord injury in a slip and fall accident, you may be entitled to recover damages for lost wages, medical bills, and pain and suffering. Broken bones are extremely painful and can range from minor fractures to severe breaks that require surgery. Often, the tissue that surrounds the broken bone can also be damaged. This can result in therapy to prevent chronic pain and neuromuscular dysfunction. 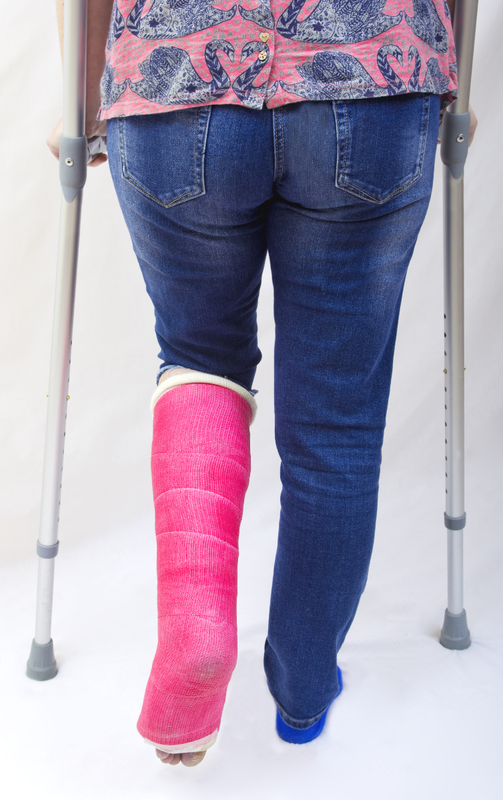 When you break a bone during a slip and fall accident, you may be eligible to receive compensation for lost wages, medical bills, and pain and suffering. It is impossible to diagnose a broken bone without an x-ray. If you have a fall that produces concentrated pain in a bone or joint, seek immediate medical care. Broken bones can cause extensive bleeding and the swelling that occurs over the first 12 to 24 hours can make the break much more difficult to treat. This makes prompt medical treatment much more vital for your recovery. 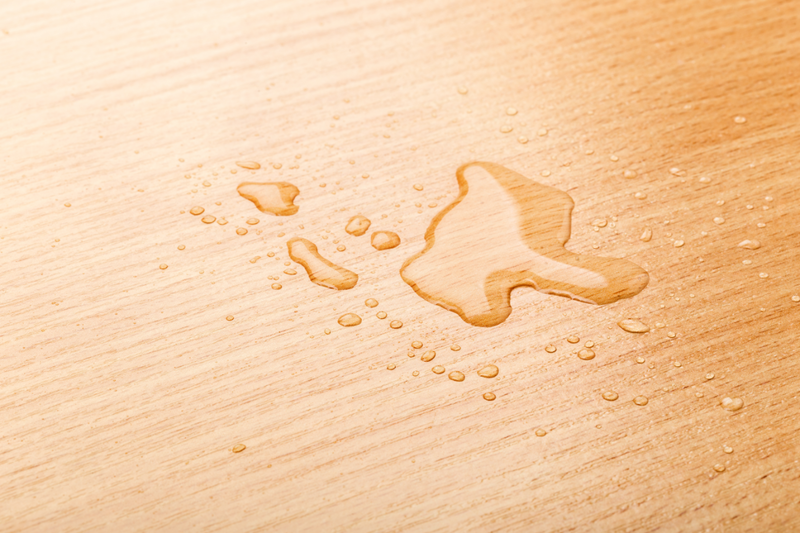 Property owners (or employees) should ensure that liquid spills are promptly cleaned up in a timely manner. If floors have been cleaned up and left to dry, wet floor signs should be set out to warn visitors of potential danger. Property owners are responsible for removing snow and ice buildup that accumulates on sidewalks, steps, and other walkways within a reasonable amount of time after snowfall or other inclement weather. Property owners (or employees) should avoid stacking merchandise in aisles and/or leaving supplies, equipment, trash, or debris on floors that can create a tripping hazard for visitors. Property owners (or employees) should avoid large floor displays and overfilled shelves that are likely to result in items being knocked loose and onto floors where they can pose a serious danger. Property owners (or employees) are required to keep up with maintenance needs to ensure that torn, broken, or loose carpet, rugs, mats, tiles, and floorboards do not create a slip or fall hazard. Proeprty owners (or employees) must properly maintain elevators and escalators as these can cause serious injury if they suddenly stop working and the passengers slip, trip, or fall. There are certain types of materials such as stone, ceramic tile, hardwood, glass, concrete, and other smooth flooring that create a greater risk of slip and fall accidents. Proper care and maintenance of these is required to lessen the risk for visitors. Dark hallways and stairwells make it difficult to see steps or obstacles that may be in the way. Property owners (or employees) should install and maintain proper lighting in public areas. Landscape materials such as mulch, pea gravel, and loose sand can create slipping hazards if scattered from beds onto walkways. Property owners (or employees) should exercise reasonable care to keep walkways clear of debris. 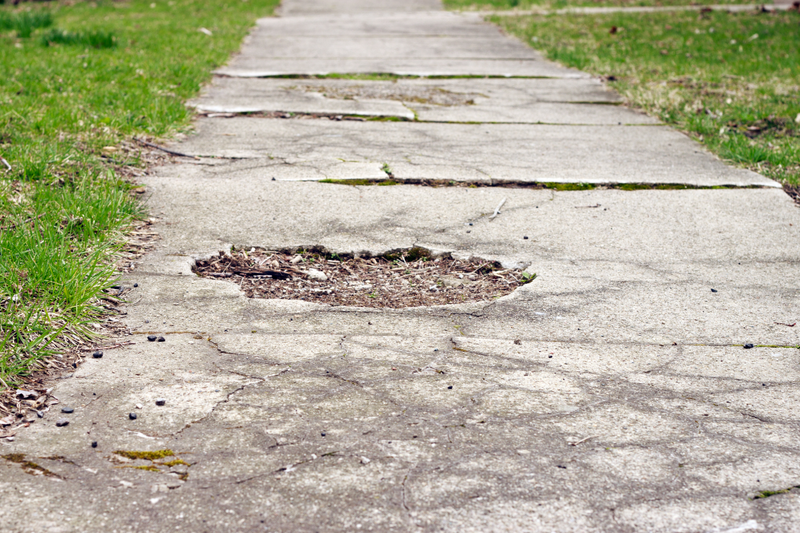 Cracked or loose pavers and gaps in sidewalks pose a risk of tripping to visitors. Property owners (or employees) should be aware of the issues and make repairs and/or post warning signs when necessary. Holes, trenches, and other ground openings should be filled, covered, or well marked with warning signs and fencing. About 22% of slip and fall incidents result in more than 31 days away from work. When you hire a slip and fall accident attorney, he or she will file a lawsuit in the proper court and serve the property owner of the place where the accident occurred. In some cases, the defendant may agree to a settlement before a lawsuit is even filed. After the lawsuit is filed, the property owner has a opportunity to answer to your allegations. This includes presenting their own version of how the accident occurred and how injuries were sustained. The investigation and process of gathering information are included in the discovery phase of your lawsuit. This is where attorneys depose the plaintiff and the defendant to gather all evidence to present a solid case in court. Your attorney will prepare you for the deposition ahead of time and will always be present to prevent you from answering unfair or irrelevant questions. Often, insurance companies choose to settle cases before going to trial since settlement is far less costly than litigation. After the discovery phase, the attorneys on both sides of the case will determine whether a settlement can be agreed upon. If no agreement can be reached or you attorney feels that you are not receiving maximum compensation, then your case will go to trial. If no settlement is reached, the case will proceed to trial. As the plaintiff, you will have the burden of proving that the property owner’s negligence resulted in your injury. After hearing all evidence, a jury would return a verdict based on the answer to two questions: Was the property owner negligent? If so, how much should you recover in damages? What are the most common places to slip and fall? Slip and fall accidents can happen anywhere from parking lots to sidewalks to playgrounds and everywhere in between. Unsafe conditions at any business or property can lead to serious injuries. 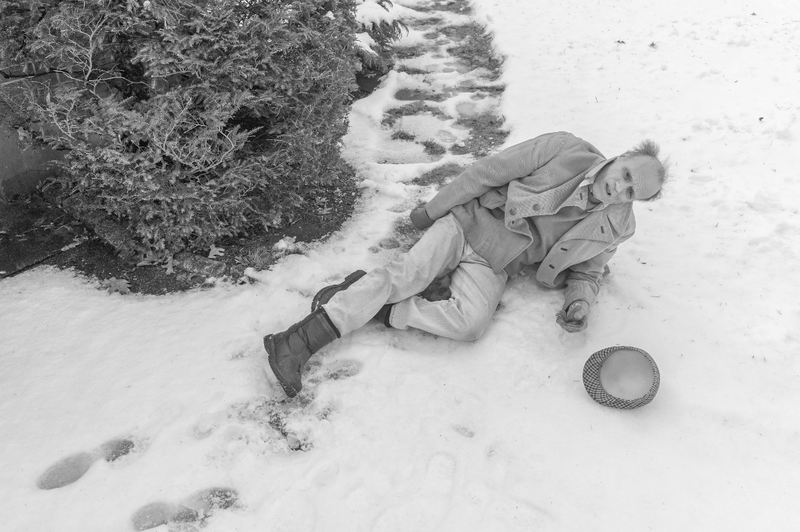 What are the most common causes for slip and fall accidents? The most common causes of slip and fall accidents are defective pavement and sidewalks, snow and ice, damaged flooring, inadequate lighting, broken handrails, spills and water, and over crowded aisles. The first step is to seek immediate medical attention and contact an experienced attorney who can help walk you through all the legal steps of a slip and fall case. The accident I had was on a friend's property and I don't want to sue, but my bills are piling up. What do I do? After a slip and fall accident on a friend's property, you don't want to sue and damage your relationship. When you file a lawsuit in slip and fall accidents, you are suing the property owner's insurance company. Insuring a property is required and there for financial protection of the property owner. The homeowner or property owner insurance would cover the cost of the lawsuit and damages. My friend lives in a rental and I tripped on her damaged sidewalk. Who is responsible? This question encompasses the complex nature of slip and fall accidents when determining fault. There are three possible answers to this question: 1. the landlord is responsible, 2. the renter is responsible, and 3. a third party company who is hired to make repairs is responsible. The best way to determine who is at fault is to hire a knowledgeable attorney in Indianapolis. We have successfully represented many cases of traumatic brain injury as a result of a slip and fall accident in Indianapolis. 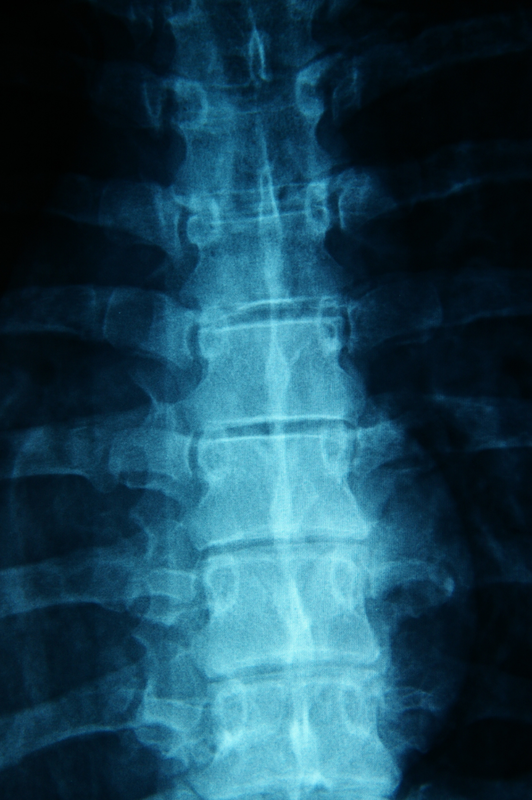 Injuries to the spine can be the most severe, life threatening injury as a direct result of a slip and fall accident. Attorney Richard Batesky has represented hundreds of clients who have been injured in slip and fall accidents. There are 206 bones in the body. When you fall, there is a high risk of breaking one of these bones. Let us help you receive compensation for medical bills and pain and suffering.